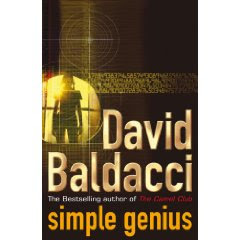 I just finished flipping through the last pages of the latest thriller I read, a book called Simple Genius by the impeccable writer David Baldacci. It is a commendable book and a suggested read for all. I am most thrilled to read such a book, when I had not given it a second look on first chance. It is a sure-shot page turner. The story revolves around Michelle Maxwell and Sean King doing a private investigation on the U.S Government’s or the CIA’s forbidden property and the physiological problems faced by Michelle. In the beginning the author adroitly describes the physiological conditions of Michelle and how Horatio Barnes, physiologist and friend of Sean helps Michelle deal with it but unsuccessfully! Being in a financial crisis, this is how Sean pays for her medical fee by accepting an investigating offer by ex-girlfriend Joan Dillinger. As Seann goes through the puzzling events of death in Babbage Town, Micelle is solving her own set of mystery (which is just a side kick). Finally Horatio and Michelle and Sean team up to solve the mystery at Babbage Town and the puzzling events at Camp Peary. The result is spine chilling and much surprising than what you can believe! So do not waste time, pick up a copy and leave of your praises at the comment box! Rome was not built in a day, and so is your work. 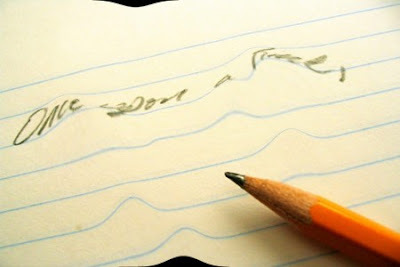 A good piece of writing cannot be written on first attempt. As I have always been telling my readers, constant practice and writing is the only key to a successful writer. Just yesterday, my friend asked me, "You always keep telling me to write. But HOW MUCH do I write?". This got me thinking. What I do is follow a plan. In the beginning of the year, I set an objective for my writing. I fix a goal to finish three good pieces of my personal writing each week. 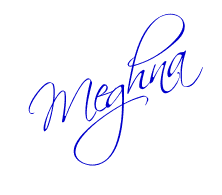 It keeps me busy in my leisure time and also helps me improve my writing skills. One can plan as he/she wishes and is suitable for him/her. If you are not too busy to devote much time, you can fix a goal of finishing five pieces a week. Or you can settle down on a monthly basis, of finishing thirty to fifty pages of your novel or anything you wish. Even making a yearly plan comes in handy to our busy-bees. The first thing to get down to is to make the plan or objective. While doing so, keep in mind what you write, how and when. Remember how much time you can devote each day and find a suitable goal. But the most important part of this is to stick to you timetable. No use making overambitious plans and goals just to build castles in the air! Just try my idea once and share the result with me here. I'd be glad to hear the pros or cons. While surfing the net, I recently came across the world's longest poem. Ever thought of who wrote the longest poem in literature? If yes, I give you your answer. World's longest poem in English literature is written by Nigel Tomm who is a writer and artist. Blah you. About you. You blame me. Blah you. You know. You blah. You blah it out of blah. His book "The Blah Story, Volume 8" consists of one poem which contains 98,728 words, 449,441 characters (with spaces), 23,161 lines, 728 pages. This becomes the longest published poem in English. The poem is called 'My Blah Story'. The book was published in February 9, 2008. Intrigued, I searched more about this incredible author. Nigel Tomm is a writer/artist who time and again pushes the limitations of literature. His novel "The Blah Story" is a clear example of that. "The Blah Story" is based mostly with sturdy beat with over usage of the word 'blah'. Isn’t this really interesting? Have you ever imagined writing a poem more than 1000 words? And think of this incredible author sweating over writing a poem almost 1,00,000 words long. Other known long poem "Pieces of Hope" by Patrick Huet, has nearly 7,600 verses written on a roll of fabric that stretches to almost one kilometer. The poem is not published. Other really long poems were written by ancient Persia or India poets and an example is, Mahabharata. So here’s your turn. Don’t shy away from sharing your longest piece of poetry with me. I’d be pleased! After my examinations got over yesterday, I decided to lay my hands on a good book, and one of my book loving friends suggested that Twilight by Stephenie Meyer would be a good choice. I too had heard a lot about the book, so I decided to give it a try. 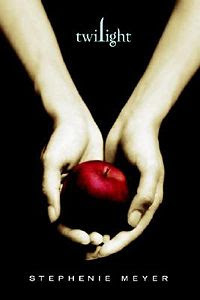 Twilight written by Stephanie Meyer is series of books about Vampire love story. The theme of the novel pricked my interest. It is a teenage love story but the twist in it is that there's a blood drinking dangerous vampire existing! It is a story about a teenager called Isabella Swan who has moved to Forks, Washington with her father Charlie. She abhors the new city, truly unlike Phoenix, where she lived earlier. She has no interest in her new school, new friends, until.....she meets a guy called Edward. Edward has intrigued her since she first set her eyes on him. Then they turn out to be Lab partners in Biology. Edward has an exquisite beauty, and the way Stephenie describes it in the book is awe inspiring and out of the ordinary. His eyes are the basic communication for Bella. She initially learns that he abhors him with trying to change his class timings, disappearing for a week or more and then giving her frustrated looks. Bella was unfortunately entangled in an accident, where Edward rescues her heroically. She was going to be run down by a van, when Edward comes and saves her. The troubling part is that the van was coming at full speed and Edward was nowhere near. Bella was certain that it was some sort of magic, that he rescued her, but Edward denied everything being anything other than ordinary. Edward was a blood thirsty vampire!! The rest of the story revolves around how Edward protects her, how she gets approved by his family and how Edward stops himself. The scent of Bella blood always aroused him, bu his love for her, gave him the strength to overcome it. Their relationship is thrown into bedlam when another vampire group comes to Forks. James, a tracker vampire who is intrigued by the Cullens' relationship with a human, wants to hunt Bella for sport. The Cullens attempt to distract the tracker by splitting up Bella and Edward, and Bella is sent to hide in a hotel in Phoenix. The rest of the plot revolves around how Bella is rescued or caught and finally, her desire to trun into a vampire herself. It is one of the most extraordinary and mystical plot you can come across. The author's narration is fabulous too. So what are you waiting for? Just go and grab a copy of this sensational novel !